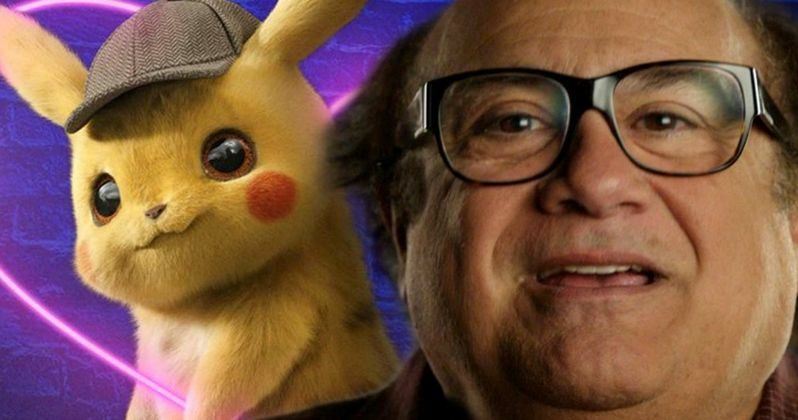 A Change.org petition circulated three years ago that gained more than 50,000 signatures suggesting that It's Always Sunny in Philadelphia star Danny DeVito should provide the voice for the English version of the Detective Pikachu game. There were also hundreds online who backed the idea. That's how popular this was. And it didn't totally escape the filmmakers either. During a set visit, visual effects producer Greg Baxter revealed that, in early tests, they did use DeVito's voice. Here's what he had to say when asked about it. "Yeah, we threw some of his ... Always Sunny in Philadelphia ... in as well. I mean, we really tried a range of actors. Different pitches, different sounds of voice, different ... big, small, everywhere in between. And really, once you put a voice to an animated character, something just amazing happens, not what you expect. But once Ryan went in, it was kind of game over. That was amazing." So far, the reception to Ryan Reynolds' version of the character in the trailers has gone over quite well. Reynolds is bringing his usual charm and humor to the whole thing, having recently shared a video (which wasn't to be taken seriously) going over his rigorous method acting used to get into the character. Still, there was at least some consideration that Danny DeVito could have been the guy, which would have been quite a bit different. Speaking a bit further, Greg Baxter went over the process that led them to Reynolds. "We knew what the character was gonna be, you know, what it looked like, the size, the shape, even some of the basic movements. But then as we were looking at different actors, we would put voice from what that actor had done in the past through Pikachu just to see how that was gonna play. And something really magical happened when we put Ryan Reynolds' voice into Pikachu. It's just not at all what you'd expect and it's just funny, because ... the way he speaks and the way he acts is almost like one giant run-on sentence. He keeps talking until jokes just fly out. And for this little, cute, little thing to have that kind of crass and sarcastic sense of humor and then just kind of keep going ... that actually affects the animation." The good news for Danny DeVito fans is that there will be plenty of him on screen this year. He's set to appear in Tim Burton's Dumbo later this month, and he's also one of the new cast members in Jumanji 3, which arrives in December. Detective Pikachu, meanwhile, is set to arrive in theaters on May 10. This news was previously reported by Nerdist.